Labeling the other party negatively, such as starting a sentence with “You are” or “Don’t be” use a category of words and phrases that are most likely to trigger anger and frustration from the other party because it puts that person on the defensive. If you couple these phrases with highly negative emotional words such as “Unfair” or “Stupid” then the negative reaction is exacerbated. 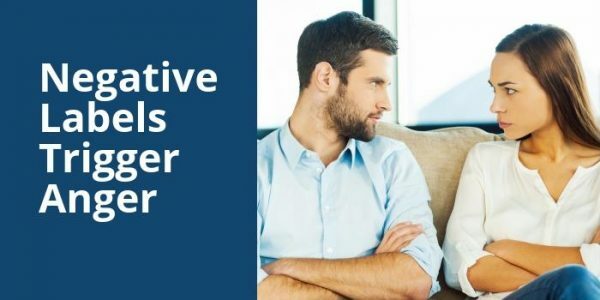 You never want to say “You are unfair” to your spouse or co-worker because it will evoke negative emotions that prevent problem solving and cooperation from the other. Emotional trigger words and phrases are equally offensive across cultures because it is not the word itself that offends but what is implied by the word or phrase. Labeling the other party negatively is an attack on the person’s character. When a person feels attacked the natural reaction is to defend, and then both parties are stuck in an attack-defense spiral sparking conflict and preventing movement toward an agreement.